Is there a way to use the mouse or the keyboard to zoom in and out, in order to replicate the pinching action we make on the phone’s touch screen? If not, are you considering to add this function in the future? I’ve debugged and the program is mirroring fine on PC. However, I can’t use the mouse and keyboard functionality at all on the PC program. This seems to be a problem for other users as well. 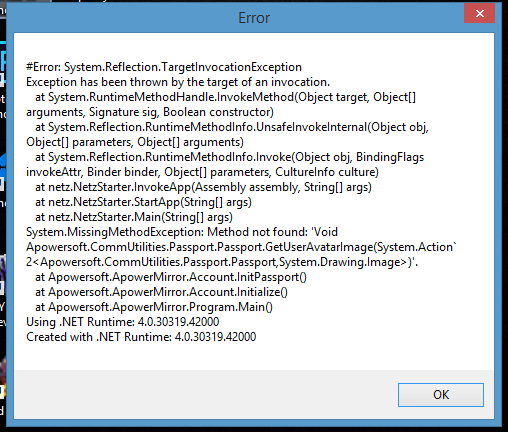 the program was running correctly but I have been facing this problem for 3 weeks now and I can’t solve it . please help me . I’m using Xiaomi Note 5 and after setting up all the keymap, the aim key doesn’t work so I couldn’t control anything. Please help! How do I stop the audio on my Iphone 7 going to mute when i mirror it to my PC using ApowerMirror? I'm sorry. This feature cannot be realized now because of the restriction of iOS system. Thank you. I admit that I myself encounter difficulties sometimes. Thank you for the tutorial and the guide. tengo un problema con el apowermirror desde que lo instale, y es quiero utilizar para grabar Gameplays pero solo graba 3 minutos y se detiene, quiero saber si es algun error o es porque tengo la version gratuita? I cant control my Redmi 3S phone when i try to control it pop up with this dialog box. Cast of phone is good but i cant control it. Please help!! Sorry for the problem. MIUI system adds an extra restriction. Aside from opening USB debugging, you also need to open USB debugging (Security settings) in Developer options so that you can get connected or control your phone. Below is a screenshot for your reference. Thank you! If that's not the problem, please refer to this guide and see if it can help you: https://www.apowersoft.com/community/topic/solutions-to-android-cannot-connect-to-apowermirror-via-usb.html. Sorry for the inconvenience. Could you please describe the issue with more details? Thank you very much. The cursor cannot be removed now. Thank you for your support. when cursor can be removed ? maybe you repair this problem already ? When I try to use it on my Huawei P20 Pro – as soon as I start sharing other app – mirroring stops working on the PC. How can I fix it? Sorry for the inconvenience. Could you please tell me which app you are sharing? Thank you. actually it doesn't matter which App i am sharing. as soon as I open any app, or even a web browser - connection drops and I need to come back to ApowerMirror and start presenting again. Cannot figure out where I can set that up so connection is not dropped. is there anything I can do/change in settings to be able to keep the mirror app running when sharing mobile screen to PC? Could you please tell me which way you used to connect your phone to PC, via USB or WiFi? The USB connection will be more stable. My problem is that I have installed the app on both of the platform but whenever iam trying to connect through usb, it connect alright but after establishing the connection, it’s just not showing the screen of my mobile on my lappy and after few seconds it’s getting crashed. The lappy which I’m using is #Sony”Vaio” and the operating system on which I’m trying to run apowermirror is windows 7 ultimate 64bit. I have another operating system of windows 8.1 installed on my machine and the apowermirror is working just fine, showing the screen and can control using mouse n keyboard but I want to use that apowermirror on my windows 7..can you help me out plz. Sorry for the inconvenience. Could you please go to "Setting" > "Display settings" and the change the "Render mode" ? Please have a try. Thank you very much. How can i controll iphone on pc ? Sorry, ApowerMirror doesn't have the function to control iOS from PC yet. 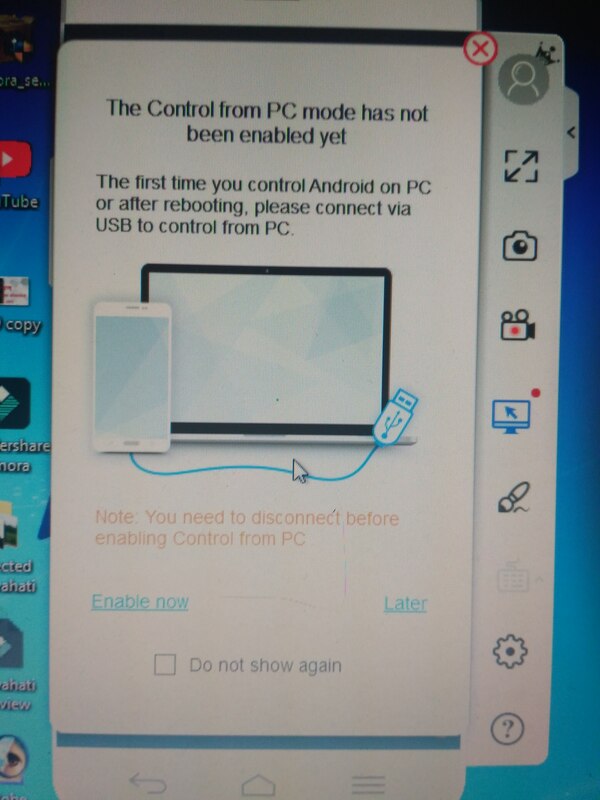 It allows you to control Android from PC. For iOS, it can only do the screen mirroring! Thank you for your understanding!